….Normally we talk about our products here but something big may happen soon that would make a big difference to the Jenton business…. Personally, I think that would be a disaster. To start with, Security; I'm with Winston Churchill on this one: http://www.churchill-society-london.org.uk/astonish.html My grandmother's first boyfriend went to Europe once - and got shot. She married the second as he only got shot at and they had a son - my uncle. He went to Europe in a plane. And got shot down and killed - as did all his male cousins. The only time my grandmother went to Europe was to visit graves and weep. I go for holidays and business and I meet really nice people who run businesses like me and want to get on. It's much better going to Europe on a ferry rather than a landing craft. Of course, Winston and I are not alone. The IMF, World Bank, Ireland, Bank of England, NATO, Obama, Confederation of British Industry, Nissan, Jaguar, Indian Government, UK Government, UK opposition, all UK ex-prime ministers, Alex Salmond and even Hilary want us to stay in. Penny Mordant (Minister voting leave) was asked twice on Today programme (8.40am,9th May) if she could name one single world leader who wants us to leave EU. She couldn’t. 90% of Engineering Employers Federation want IN (4000 companies medium size), 80% of PPMA want in (450 companies mostly Small/medium companies) and 60% Federation of Small businesses want IN ( approx. 150,000 members, smaller firms - one man bands). In the UK, 15.6 million people are employed by SMEs, 99.6% of businesses, 60% of all private sector employment. But still the public still seem to be leaning OUT. They are not being swayed by the opinions (and worries) of the wage payers. So perhaps it's worth pointing out that the Northern Ireland problems may re-occur if a border is effectively re-introduced or over a million UK ex-pats will lose their right to live in EU or EU subsidies to farms and universities may stop. Or that other EU states will follow the lead and Europe will become a land of competitive nationalistic countries again – and we know how well that works. Or… that the all-party Foreign Affairs committee has flagged a worry that UK hasn't done any solo trade deals for over 40 years and we don't even have a trained team. The same report (Foreign Affairs Committee, 5th report of session 2015-16) also says “The political climate after notice of withdrawal from the EU would probably not favour quick agreement of mutually beneficial trading agreements…” and “It is clear that a vote to stay in the EU would bring a sigh of relief from our EU and NATO partners” . The committee says that “The majority of the evidence we received, moreover, argued that the UK’s influence in the world is largely helped, rather than hindered, by its current position as an EU member state” and “The UK outside the EU would forgo opportunities to participate in EU policies which could advance UK interests, such as the proposed liberalisation of capital markets” The committee that said this is made up of 50% ‘Stay’ and 50% ‘Leave’ MPs. On 28th April, I asked Jacob Rees-Mogg ('out' campaigner and prominent politician) a question. I said I accepted that Jenton (my company) may be a short term loser because of the above but there are losers and winners in all changes - but if it's for the public good, who will the short term winners be so I can point the poor souls I have to let go in their direction? In front of 500 people he didn't even have one suggestion. He also said that he accepted there there would be some 'short term irritation’ from our EU neighbours directed at us if there was an OUT vote. Great! And how long is 'short term' ? How do we maintain our income during that period of ‘irritation’? He tells me I should deal with India – but it’s a lot easier to drive to Holland. Germany and France have elections coming up soon and they are firm supporters of EU. UK has 2 years if it votes out (under article 50 of the EU charter) to negotiate on going trade deals. How likely are they to give UK a BETTER deal than they would get as a member. Not likely at all. One of the main concerns of the UK public is immigration and border security. They think leaving would mean the ' immigrants will all go home' We have maintained passport control at borders which is ahead of everyone else in EU but EU citizens have a right to live and work in UK which many of them do. They are educated, speak English, work hard but are young so are unpopular when using healthcare, benefits, maternity services and schools. House of Lords report concludes that despite this they are a significant net positive contributor to UK's current economic success. Leaving EU probably won't have any effect on economic immigration anyway because any trade deal SO FAR with EEA (European Economic Area) countries, like Switzerland and Norway ( the status we would effectively become) has made free movement of workers compulsory and Switzerland and Norway all pay into the EU budget. The other concern is that 'we pay £350 million per week into EU budget' OUT campaigners say we can spend this on something else. BUT. Half (pretty much exactly) comes back to UK in subsidies for farms, universities (over £700m), medical research so that isn't available assuming the UK gov't wants to maintain those things. Some of the rest goes on subsidising poorer parts of EU and projects of common interest - European Space Agency or the £650million going right now to support the new construction over the Chernobyl reactor. The OUT campaigners suggest it's all being wasted but it isn't. If you add up all the things the OUT campaigners say they can spend the 'saving' on you notice that they are spending the imaginary money over and over again - NHS, schools etc. There would be some money saved of course but you can spend as much as you like on the NHS - we will all still die. Of course, some of the budget is wasted - Brussels bureaucracy has been winding taxpayers up for years and needs to be sat upon. But surely, the best way to sort out the club committee is to do so from within the club? There's an appetite for sorting out the noses in the trough all around EU and now would be a good time as all around the world we seem to love handing people out to dry at the moment. UK leaving the EU would start cracks that may bring the whole thing crashing down and Churchill's warnings should ring in our ears. On a personal basis I've had 50 peachy years of low threat, good fortune and all the funerals I've been to have been mostly old age, one or two accidents and some ill health. I think physical and financial security is the biggest deal here. Maslow would point out to the OUT campaigners that they are getting all heated about esteem and self-actualisation and missing the real issues of social and safety. http://www.simplypsychology.org/maslow.html It may feel great to 'stick two fingers up at the EU' but it will be very short term pleasure and bring medium and possibly long term pain. 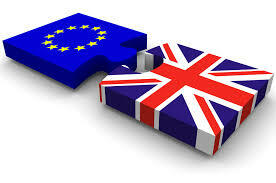 UK is a very small geographical area and a huge player in the world (5th largest economy). We’re part of the largest economic group in the world (for now), we have a veto over what our neighbours want to do (for now) plus we have respect and good relations with many other parts of the world.